Welcome back to another feature on Daily Turismo's first ever Super Swap Saturday extravaganza -- time for another engine swap. Ever know someone who always seems to do the opposite of what everyone else does? 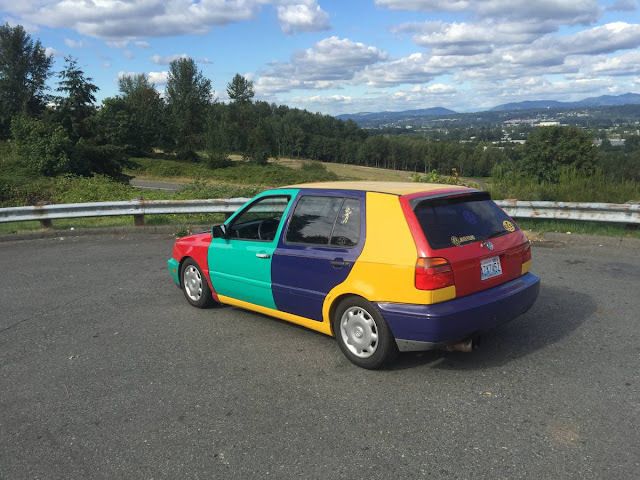 These are the non-conformists and when they get into cars, they do it the hard way, like building a 4x4 Austin Mini or turning a car into a boat. Today's doing it the hard way example involves a European corner carver being turned into a 'Merican style drag strip machine. 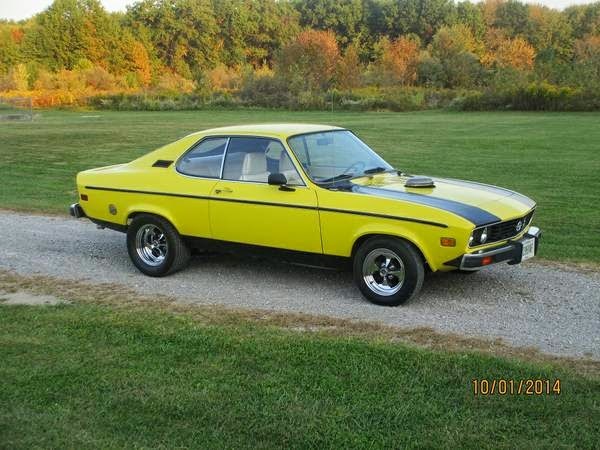 Find this 1971 Opel Manta with Ford V8 offered for $6,500 in Goshen, OH via craigslist. This Opel Manta A may have started out as a 4-cylinder powered oddball stuck in the back of US Buick dealers, but this one has been re-built like a 70's drag car. 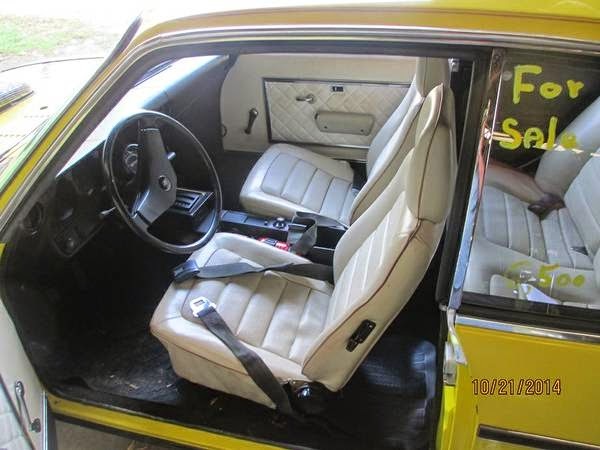 With the bumblebee paint scheme and staggered Keystone wheel, this thing looks like it could have easily come from a Chevy or Dodge factory in the early 70s. Its running later model bumper/swim-decks instead of the delicate little ones that a 71 would have come with. It desperately needs a hood scoop to cover up the UFO shaped air cleaner bursting through the hood. 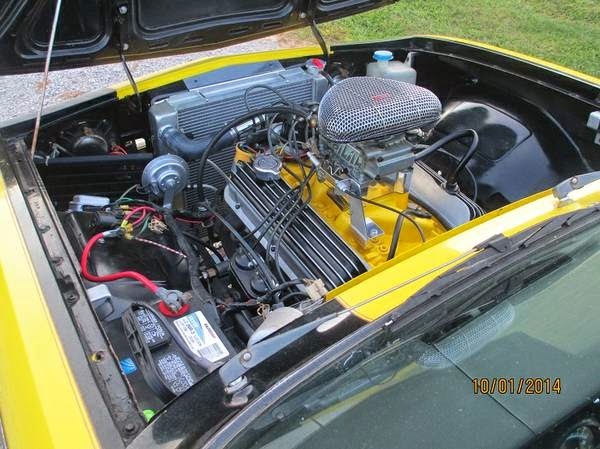 The engine looks to be a Ford 289 cubic V8 mated to a C4 automatic transmission with a "boss hog" 3200 rpm stall convertor per the seller. I'll tell ya one thing about them boss hog stall convertors, they is really bad at catching them Duke boys, but they always does right in the end. Some folks might say the builder should have used a Buick/Rover and put a manual in it so that they wouldn't have to deal with the horrible looking hood breather snorkus -- but I contend that this thing is a cheap T-5 swap away from greatness. The body/interior look totally workable, so you can focus your efforts on figuring a way to get the rear end back down so its not so raked out. 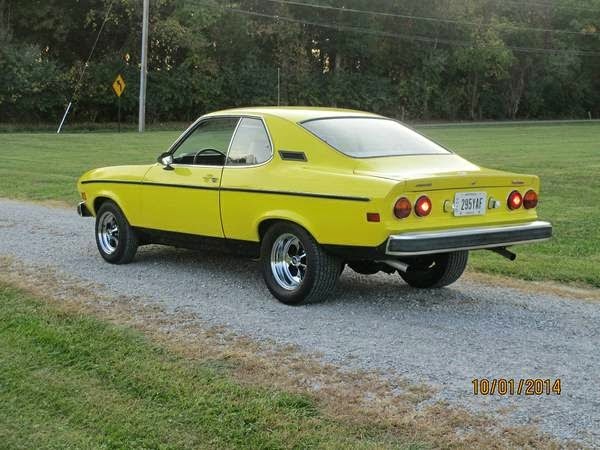 Or you can leave it like that and have a 70s Pro Street style Manta A. It might not be the only one in the world, but it'll be the only one on the block. Looks to me like the air cleaner poking through the hood was a deliberate decision - there's a big aluminium spacer underneath the carb. Take that off, and it should at least be close. If not close enough, then a low profile intake manifold would do it. Yeah, I'm a huge fan of V8 powered Manta's and switching it to a 5-speed wouldn't be tough, but that rear end is set up for drag racing, the trunk has probably been mini-tubbed for those big wheels/tires. There'd be a lot of time/money cutting the mullet out of this one. Sooner or later, one as nice as the recent MGBs will show up. Or, Hilmerson will get tired of his and it will show up on eBay. Agreed. The whole rear end is built for drag racing. Quite nicely built, and well engineered. But for drag racing nonetheless. It would probably be easier to take an unmodified Manta and put a V8 and matching manual box in it, than engineer this back to a car focussed on going around corners. ~ This might look similar, The Chevrolet Firenza from GM South Africa based on the Vauxhall Viva. It runs [and I do mean RUNS] the same high-winding '69 Z-28 302 DZ motor as American Camaros. I'll link a video to give a fuller taste. The Viva and the Manta are very similar beyond the badge.